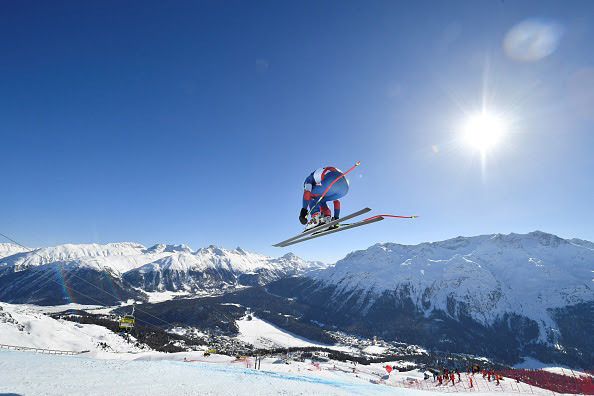 St. Moritz, Switzerland – The Swiss had another amazing day at the 2017 FIS Alpine World Ski Championships after Luca Aerni earned the alpine combined gold medal, winning his first major event in front of the roaring home-country crowd. His teammate Mauro Caviezel took home the bronze medal, bringing the medal tally for the host nation to six in as many races, behind the current best ski racer in the world, Marcel Hirscher of Austria. 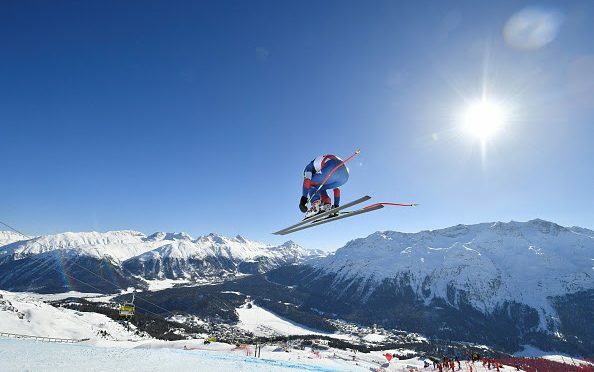 The injected portions of the slalom course caught a number of racers off-guard as the top finishers from the morning downhill ran into trouble on the first break-over on the slalom track. Aerni, who was named as the last Swiss racer for the alpine combined team just last night, finished in 30th place in the downhill run, making him the first starter for the slalom run. He clocked the fastest time of the day in the slalom, although did not know if his run would hold off the top names like Hirscher and France’s Alexis Pinturault, and had to sit through the entire field waiting in the leader box. But one by one his competition crossed the finish line unable to best the young Swiss ace. Hirscher missed the mark by the smallest of all possible margins, 0.01 seconds, to take home the silver medal. Caviezel also came very close, ending just 0.06 seconds off the golden pace for the bronze. Austria’s Romed Baumann held the lead after the downhill run, 0.12 ahead of Frenchman Adrien Theaux. Most of the traditional slalom skiers sat more than a second off the pace after the downhill run. The best speed racers were Dominik Paris and Aleksander Aamodt Kilde, who tied for fourth place 0.40 seconds behind. The three medalists were also the three racers with the best slalom times. Hirscher was 28th after the downhill and Caviezel was 14th. Standing six-foot-seven-inches tall, Bennett is built more like a power forward than a power slalom skier. But competing in his first World Championships, Bennett hammered through the challenging slalom course on Monday to an 11th-place finish. Bennett, who towers over the slalom gates, finished 18th in the morning downhill, and then put down a solid slalom run to lead four Americans into the top 25, including Brennan Rubie (Salt Lake City, Utah) in 15th, Ryan Cochran-Siegle (Starksboro, Vt.) in 19th and Jared Goldberg (Holladay, Utah) in 21st. Tomorrow is the Nations Team Event, a competition newly added to the Olympic program for the 2018 PyeongChang Games.